These gutters have a seamless, one-piece design that helps to prevent leaks and maximize visual appeal. A sagging, leaking, or clogged gutter system can be more than just an eyesore. 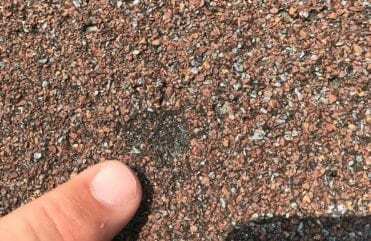 Gutters that are no longer effectively channeling rainwater away from the home can lead to costly damage to the roof, landscaping, and foundation of a house. 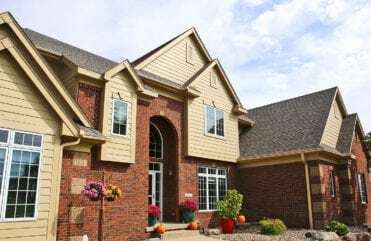 Homeowners in Des Moines and throughout the state who are looking for a lasting solution to all of their gutter problems can turn to Home Solutions of Iowa. We expertly install RainPro® seamless gutters that will not only efficiently channel rainwater away from your home, but also add curb appeal to your property. A seamless aluminum gutter system offers many advantages over traditional sectional gutters. Because our gutters are built on-site to the precise dimensions needed, they are free of unsightly seams. 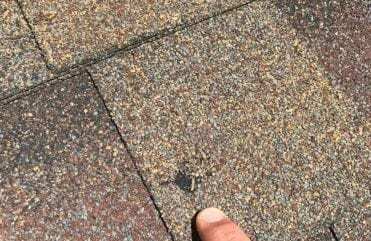 This lack of seams also helps prevent leak issues and debris buildup that can impede your gutters over time. RainPro® gutters are uniquely designed to offer the streamlined appearance of a 5-inch gutter while providing the higher performance capabilities of a 6-inch gutter. The result is an elegant gutter system that will enhance your home’s appearance while protecting it from even the heaviest rainfall. Heavy-gauge aluminum – RainPro® gutters are 18.5 percent thicker than ordinary gutters, making them more capable of handling the load of heavy rainfall. They are also less likely to buckle, bend, or dent through years of wear and tear. Heavy-duty hangers – Internal, hidden hangers keep your gutters firmly in place without detracting from your home’s appearance. Plus, RainPro® gutters are always attached with screws, which are far more secure than the nails and spikes used in most other gutter systems. ScratchGuard® paint finish – Our gutters are available in a variety of designer color options and come with a limited lifetime warranty that guarantees the ScratchGuard® finish will not crack, peel, or scratch for as long as you own your home. 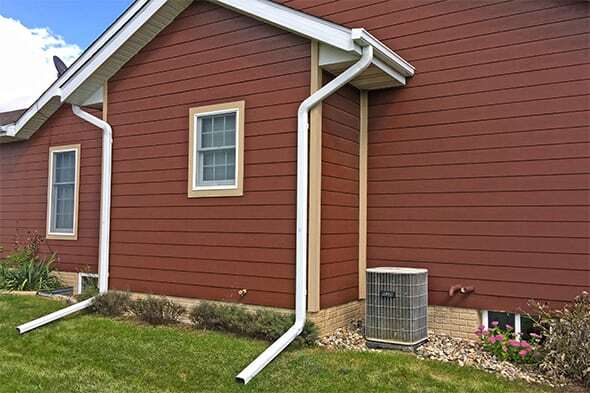 Home Solutions of Iowa is proud to offer RainPro® seamless gutters to homeowners throughout the entire state. 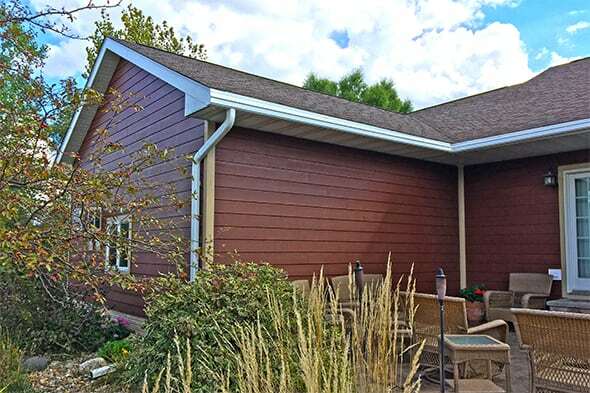 As a fully licensed and insured exterior remodeling company in Iowa, we have the skills and experience necessary to ensure your new gutter system is properly installed and will last for years to come. You can count on our team for an exceptional experience throughout the entire project as we will work hard to provide you with a gorgeous new set of gutters. 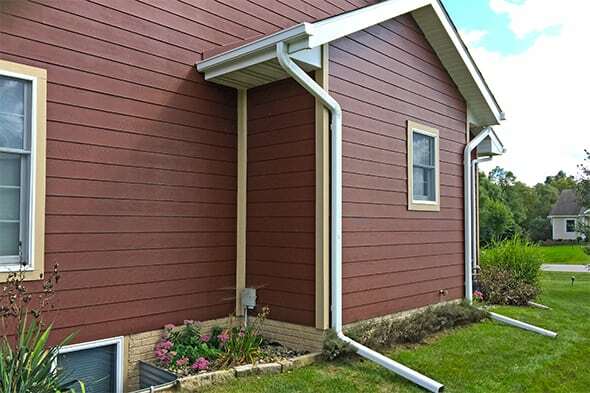 For more information on having RainPro® seamless gutters installed on your home in Des Moines or anywhere else in Iowa, contact Home Solutions of Iowa today. Everything is beautiful, we are really happy. The installers put the roof and gutters on perfectly. We are so excited and got to see how great they truly work with the rain yesterday. Thank you so much! - Carlis H.
Your house is the greatest asset you have, and your gutters are a crucial part of protecting it. Not only do your gutters protect your home from water overflow, but they also protect your landscaping, your siding, your roofing, and most importantly, your home’s foundation. We offer peace-of-mind home improvement with LeafGuard® Gutters.